Brandon's Story – Brandon’s Crossroads Foundation Inc.
house in Morgan Hill, California. Prior to his death, Brandon had learned about the growing need for organ transplants within the Hispanic community, and the loss of life caused by a shortage of Hispanic donors. 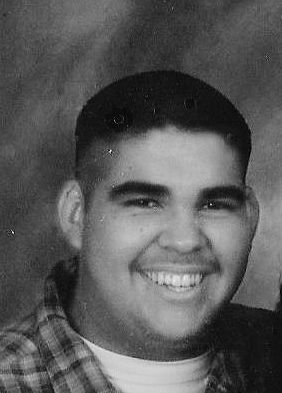 and his cousin Michael San Agustin, who died suddenly a few years later at age 38, would donate his organs to save the lives of Hispanics and other individuals facing terminal diseases. Before his accident, Brandon had purchased a 1977 Cadillac Coupe DeVille, and had just begun purchasing parts to restore the car to show quality. He hoped to use the car to educate Hispanic-American youths about the history of their community, and the importance of community stewardship, in his planned future career as a peace officer. In the five years following Brandon’s death, his family took over the restoration as a way to remember what Brandon took pride in and honor his accomplishments in life. tissue and/or organ donation. How something as simple as signing an organ donor card and discussing their decision with family and friends could save a person’s life. particularly effective among Hispanics a group traditionally underrepresented among tissue and organ donors. of a clustered randomized trial. This innovative curriculum will honor all the Brandon’s of the world and in doing so save and bestow quality of life to so many individuals awaiting tissue and/or organ donation. of such amazing individuals we (BCFI) extend our heartfelt condolences and are in awe of their altruistic gifts to humanity. evidence based curriculum research presented to our leaders of our future- our children (adolescents). 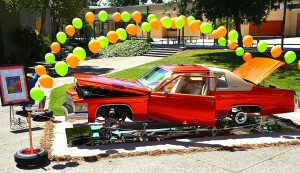 Brandon’s Classic 1977 Cadillac Coupe De Ville is now a symbol of rebirth. This caddy was once a tattered worn down automobile, Brandon saw the beauty and life it still contained and dreamed of its rebirth. 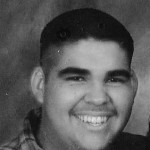 Unfortunately Brandon did not see his dream become a reality for he lost his life in 2006 at the age of 18. His family worked 8 long years to honor his dream. from the ashes, fresh and new and young again. That is the gift donors bestow on us through organ and tissue donation. Brandon’s Crossroads Foundation Inc. (BCFI) is the voice of this mission. BCFI mission is to educate adolescents on the importance of tissue and organ donation and in doing so empowering them to make an informed consent when applying for driver license or ID card. Our mission is to raise our youth awareness on the importance of tissue and organ donation through community education. At the heart of Brandon’s Crossroads, is our vision to be a resource to our youth, most admired for its people, partnership and community outreach where we work and live. We would also like to be recognized and respected for its partnership and community outreach where we Live, Work and Play. Educating our youth, on the importance of tissue and organ donation. “The Power of ONE”. Along with the our mission and vision statements, we also want to lay out the values that are essential to our continues success; compassionate, collaborative, creative, credible and committed. These values are not new to Brandon Crossroads, but this gives us a common language and foundation to grow on. The values drive how we accomplish our goals and conduct ourselves to achieve our mission. Compassionate:We are dedicated to improving the lives of our community we serve and to treating our youth with care and respect. Collaborative: We work together in partnership with other organizations and always embrace diversity and inclusiveness. Creative: We see new ideas, are open to change and always look for better ways to serve our youth needs. Credible: We act with integrity, are transparent guardians of the public youth. Committed:We hold ourselves accountable for defining and meeting clear objectives, delivering on our mission and carefully stewarding our donor funds.